The Government has not issued any directions to all the nationalized banks not to accept scribbled currency from their customers. New Delhi: The Government is aware that nationalized banks are not accepting the scribbled currency from the customers by saying orders from Reserve Bank of India (RBI) including Corporation Bank although scribbled currency is being disbursed through bank ATMs. Although the Government has not issued directions to all the nationalized banks not to accept scribbled currency from their customers. As Reserve Bank of India (RBI) has not advised banks not to accept scribbled currency from their customers. RBI had issued press releases dated December 31, 2013 and December 14, 2015, clarifying that bank notes with writing/scribbling on them continue to be legal tender. Bank notes with writing on them are treated as soiled notes and can be deposited in bank accounts or exchanged at any bank branch, in accordance to Reserve Bank of India (Note Refund Rules), 2009. RBI has advised all the banks braches to display at their branch premises at prominent place, a board indicating the availability of notes exchange facility for information of general public. RBI from time to time issue instructions to banks to organize exchange melas to mop up soiled and mutilated banknotes from circulation. RBI periodically issues Press Releases appealing to the members of public not to inscribe anything on banknotes as it damages the notes and poses difficulty in identifying the features of genuine banknotes. This information was given by the Ministry of Finance in a written reply to a question in Lok Sabha on 21st, July 2017. 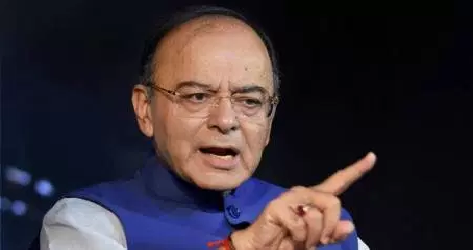 Register Complain if Bank not accept Writing/Scribbling Note: Finance Ministry, As Reserve Bank of India (RBI) has not advised banks not to accept scribbled currency from their customers. RBI had issued press releases dated December 31, 2013 and December 14, 2015, clarifying that bank notes with writing/scribbling on them continue to be legal tender.